I have a love-hate relationship with Thai food. 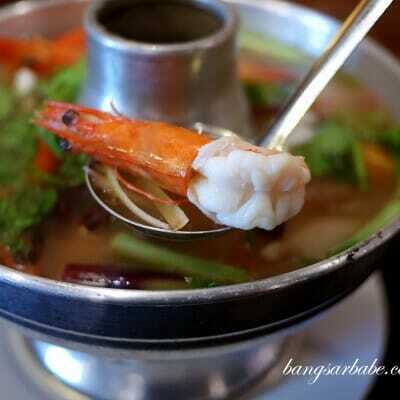 Love, because I can’t get enough of its spicy, sweet and tangy flavours, pungent fish sauce and fragrant lemongrass. Hate, because it is hard to find affordable, tasty and seemingly authentic Thai food in KL. 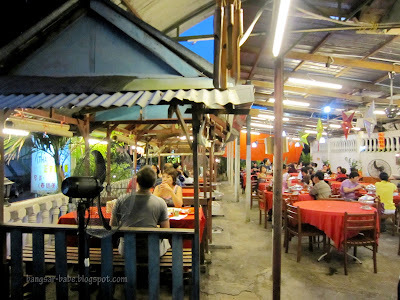 Yee Wen Thai Restaurant in Kepong Baru happen to be one of the few good ones around. Located near Bandar Menjalara, getting there is a tad tricky — you need to know your way around Kepong. Yee Wen is managed by a Thai family, and the main language here is Thai and Mandarin. Most of the staff are Thai and only the owner speaks a smatter of English. If you can’t speak Chinese and Thai, sign language is handy. The decor was minimal and hardly impressive, but the food tasted otherwise. Seafood Tom Yam was prepared just the way I liked it to be. 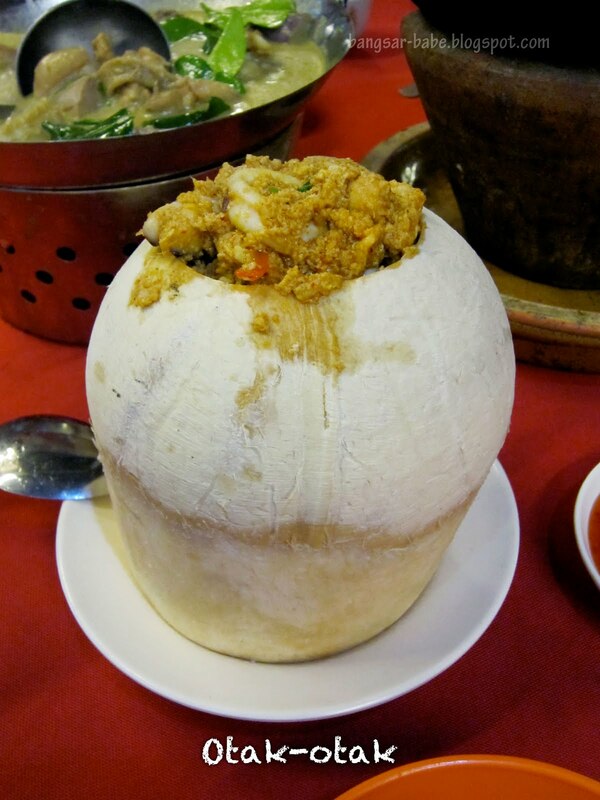 Fiery hot and tangy with a hint of sweetness, it was full of ‘oomph’. 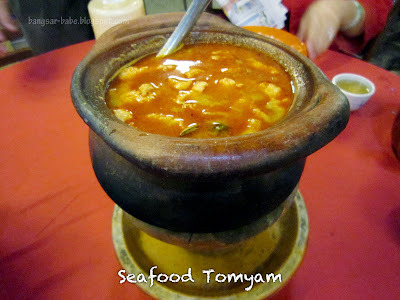 While rif and I liked the tom yam, the others found it a tad too spicy and sour. The prawns were rather small though. Also delicious, was the Thai style otak-otak, also known as Hor Mok. It was an assortment of fish fillet, shrimp and squid, cooked with red curry paste and coconut milk. Richly flavorured, chunky and aromatic, I really enjoyed this. The Mango Kerabu with Deep Fried Siakap was not bad. The fish, deep fried till golden brown and crispy, came topped with mango shreds, onions, chilli padi and roasted peanuts. 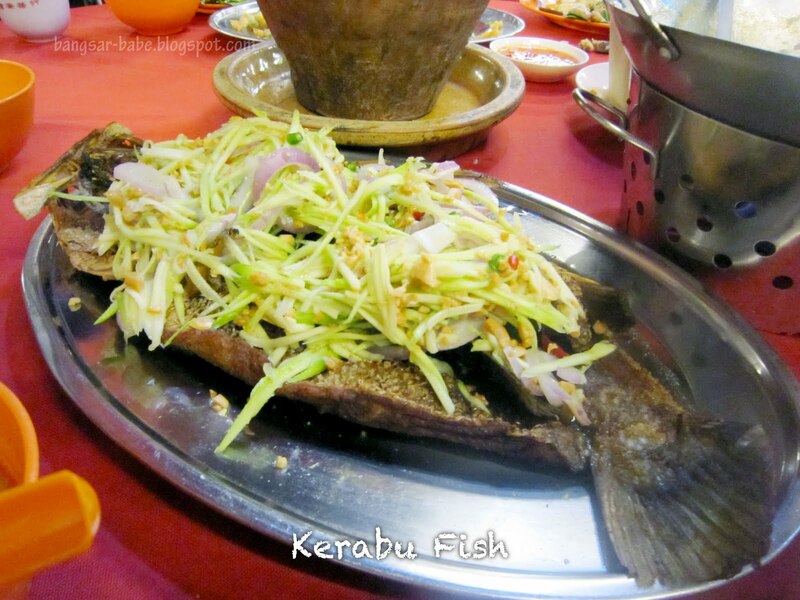 This spicy, sour and sweet combination gave the fish a good ‘kick’. The Green Curry Chicken comprised tender chicken chunks, basil leaves, chillies and brinjal pieces. Initially, I thought the gravy was a tad watery, but over some time on the burner, it became thicker and somewhat tastier. 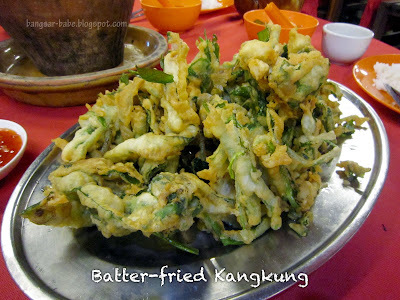 rif insisted on ordering the batter-fried kangkung. 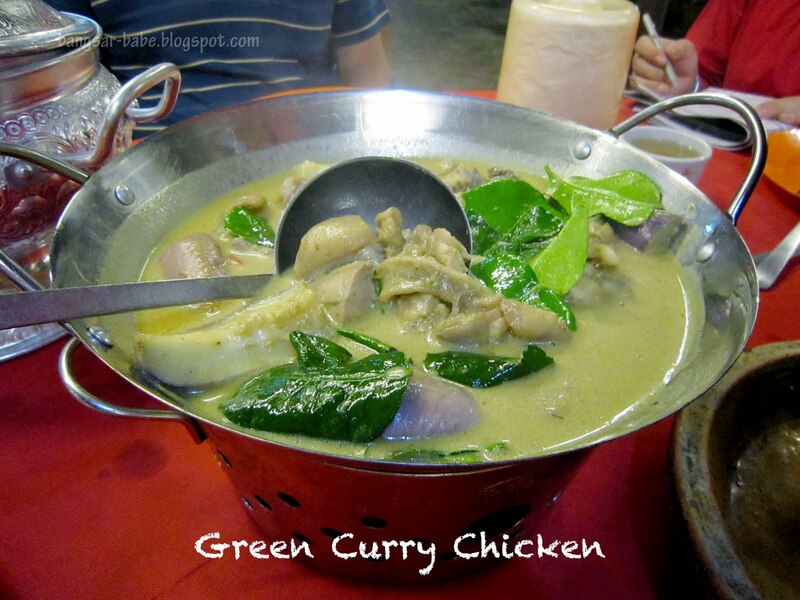 It is his must-order dish whenever he goes for Thai food. 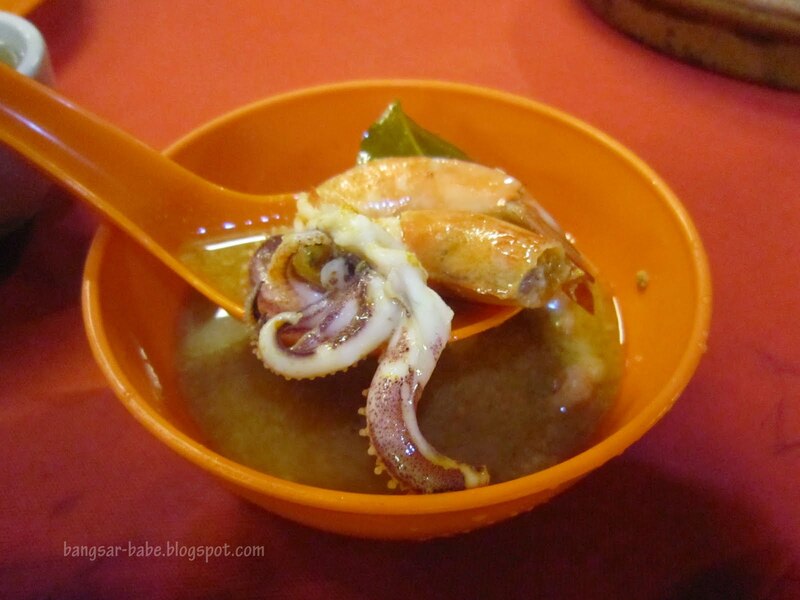 Yee Wen’s version was pretty good, albeit a tad oily. All in, the food was pretty good and prices were affordable. I’m not sure how much each dish cost (rif’s sister footed the bill) but dinner was RM135 for the 5 of us. Verdict: Dinner was a satisfying affair. The otak-otak, tomyam and green curry chicken is a must-try. 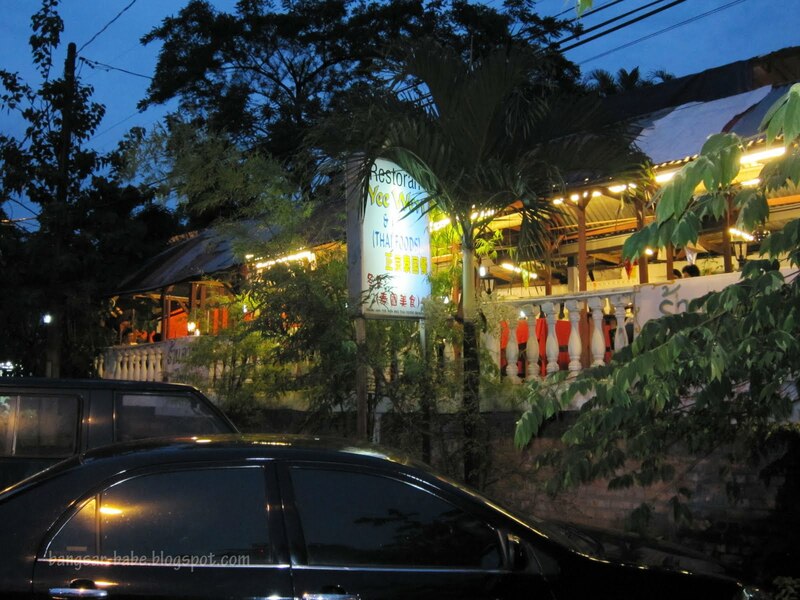 have you been to erawan yet? ??? 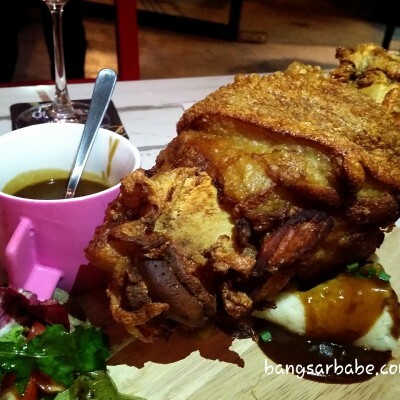 this near my house & really recommended by my makan kaki, must GO!! Misses the Hor Mook. Easily found in Thai fast food 'mixed rice' joint. The flavours are fantastic. Thanks for the recommendations. Haha, I seldom travel down to this road already, that's why didn't know there's a Thai restaurant here. Used to have a good Chinese restaurant here. It's less than a minute drive from my house. Shall try it when I crave for Thai food.